Partner Engineering and Science Inc. specializes in due diligence, a crucial step multifamily lenders and owners must take prior to acquisitions and foreclosures. MHN talks to Frank Romeo, principal, Partner Engineering and Science, about the multifamily assessments his company makes. Torrance, Calif.—Partner Engineering and Science Inc. specializes in due diligence, a crucial step multifamily lenders and owners must take prior to acquisitions and foreclosures. 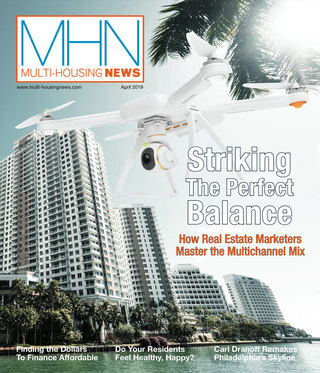 MHN talks to Frank Romeo, principal, Partner Engineering and Science, about the multifamily assessments his company makes. MHN: What composes the due diligence assignments that you perform today? Romeo: For multifamily properties, the due diligence assignments are usually comprised of three main reports: Phase I Environmental Site Assessments; Property Condition Assessments; and Probable Maximum Loss reports. Occasionally, due diligence will extend into sampling for asbestos or radon, or for contamination at the site (via a Phase II Investigation), and/or a full structural evaluation. MHN: What do you find to have been more heavily scrutinized by lenders after the recession and why? Romeo: There appears to be less of tolerance for deferred maintenance items or immediate needs. There certainly seems to be more scrutiny at a property that has obvious signs of poor or lacking maintenance. The use of environmental insurance has also been more prevalent. MHN: What is the “probable maximum report,” who requests it, and what is its significance? Romeo: The Probable Maximum Loss (PML) is a numerical value that is representative of the estimated damage a building would experience during a 475-year earthquake, expressed as a percentage of the building’s replacement cost. This number is calculated through a PML Report, which includes a study of the building type, local soil characteristics and local seismic activity. These evaluations are conducted in Seismic Zones 3 and 4, and are required by most commercial lenders, including some agency lenders. 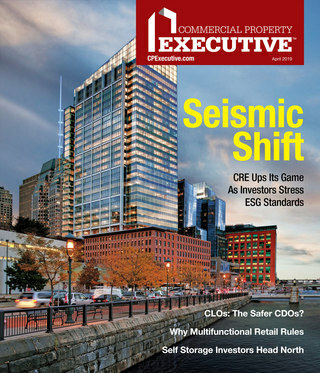 The PMLs help lenders and agencies understand potential losses during a seismic event and avoid taking too many high-risk properties into their portfolio. MHN: Are there any types of building structures or systems or materials etc. that are seen as higher risk today by lenders than previously? And by which types of lenders? Romeo: Certainly. One prime example is Fannie Mae’s position towards Unreinforced Masonry Buildings (UMB) in a high seismic zone. In general UMBs do not possess the structural elements required to withstand a significant earthquake. We have worked closely with Fannie Mae in regard to their seismic policy and evaluated what, if any, seismic retrofit would make this property type financeable. MHN: What do you find is important for Fannie Mae and Freddie Mac lenders today? What are they scrutinizing more closely? And with HUD and the insurance company lenders? Romeo: Again, deferred maintenance is being scrutinized. No lender, regardless of platform, wants to see a property in disrepair. So when a property is observed to be in poor condition it leads to a lot of questions; first and foremost: is the ownership or management committed to properly maintaining the property? MHN: What is the condition of multifamily properties you examine today? What is your advice to buyers? And to apartment owners who are obtaining financing? Romeo: We see everything, from “A” property to “D” property. Sometimes it is the institutional investors purchasing the “A” properties, or the private investor looking to engage in a rehabilitation of a “D” property. For buyers, I can’t over-emphasize the need for thorough due diligence. An unforeseen issue could impact a property by hundreds of thousands of dollars, sometimes more. These unforeseen issues could affect occupancy and ultimately the borrower’s ability to meet financial commitments, and will certainly impact the return on investment. For those looking to obtain financing: maintain your property. The simple, relatively cheap repairs, things like repairing or cleaning gutters, can make such a difference not only aesthetically, but in helping prevent much larger problems. Neglect in this area could lead to significant problems like water intrusion and damage to exteriors. MHN: Do sellers need to conduct due diligence as well? Why? Romeo: Sellers should know what they have. They can be sure that a purchaser is going to conduct due diligence and the consultant they select is going to be working for purchaser and the purchaser only. Knowing their properties’ conditions and disclosing any issues up front can make purchase and sale negotiations go much smoother. MHN: What is important when selecting a due diligence company today? Romeo: Of course, technical competence is of the utmost importance, but selecting a company that knows its client’s business and who understands what a client is trying to accomplish is important as well. A due diligence consultant should take a practical approach to assessing risk, whether that be environmental risk or assessing physical needs at the property. Research your consultant—are they well known and respected in the industry? Fully explain what you are trying to accomplish by ordering due diligence and build an open rapport with the consultant.